Product #18694 | SKU LP36285 | 0.0 (no ratings yet) Thanks for your rating! 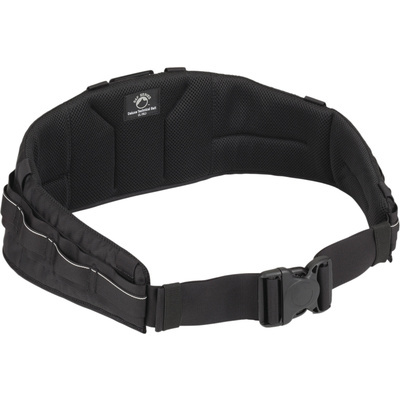 The Lowepro S&F Deluxe Technical Belt (L/XL) (Black) is designed to carry a heavy load of add-on accessories. The belt can hold up to 11 of accessories that use a SlipLock attachment tab. The durable, wrap-around, padded construction with a raised back pad provides a supportive and comfortable fit at waist and lower back. The belt is reinforced for extra support. It is made from 3D mesh material that offers lightweight breathability and durability.